Ugears keeps expanding the creative world of hobbies and opening an assembly process as an exciting game. 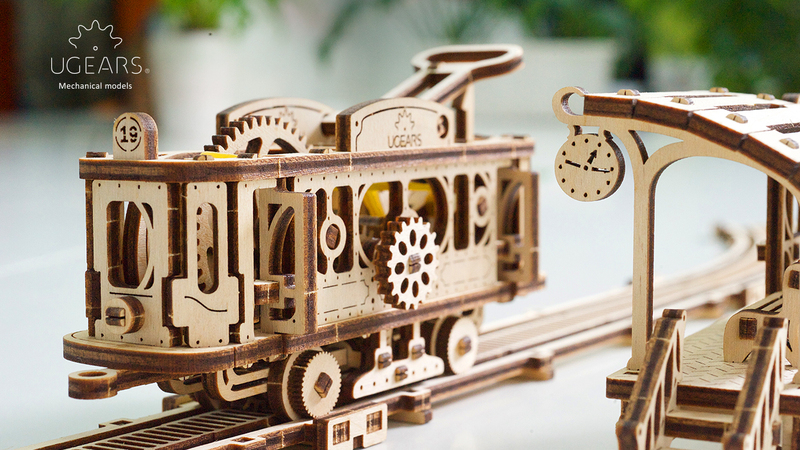 On July, 31 the Ukrainian model maker Ugears successfully completed the 4th Kickstarter campaign where the company presented new models: the Hurdy-Gurdy: world’s first mechanical musical model, the Treasure Box, and new models from Mechanical Town Series: Robot Factory, Rail Manipulator and Tram Line. 2,954 supporters from 5 continents were making this happen. Inspired by the art of medieval craftsmen and enriched by smart engineering of the XXI century, exclusively on Kickstarter, Ugears was introducing — Hurdy-Gurdy – the genuine gem of the collection: the most extraordinary mechanical model kit which is all-in-one: model for self-assembly, toy and fully fledged musical instrument. Just build it together with your own hands and feel like Stradivari or a popular Hurdy-Gurdy star! In addition to the Hurdy-Gurdy, UGEARS is offering a wide variety of additional models as part of their expanding Mechanical Town series that now includes a Tram Line Model, Rail Manipulator Model and a genuine Robot Factory Model. Ugears Rail Manipulator Model with its articulated claw that can load and move the freight crates in the Carriage with an extraordinary preciseness. 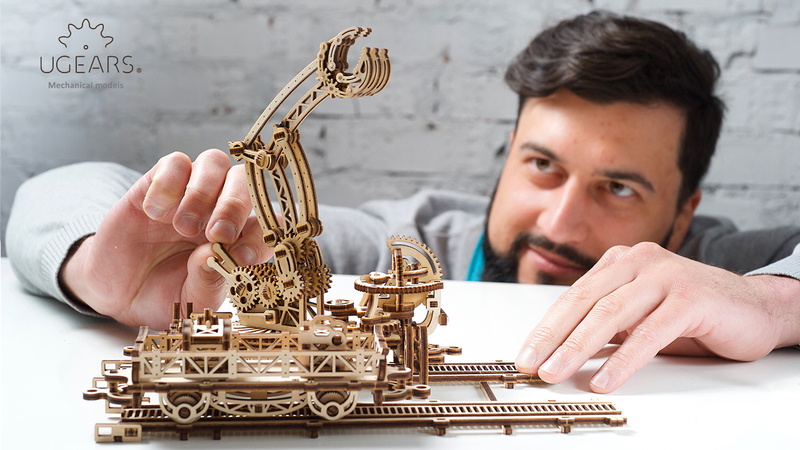 In 2014 Ukrainian startup UGEARS implemented the idea of modular self-propelled wooden mechanical models in which everything is real. 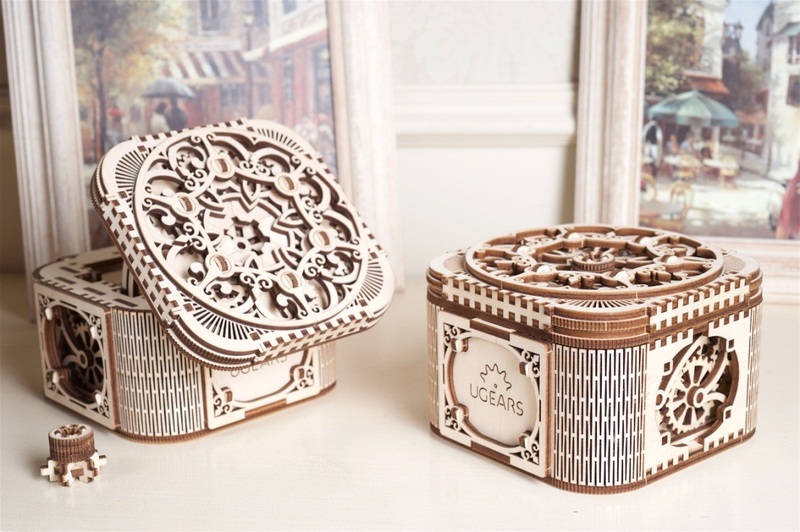 Today the UGEARS collection includes 25 delightful and imaginative self-propelled wooden mechanical model kits. 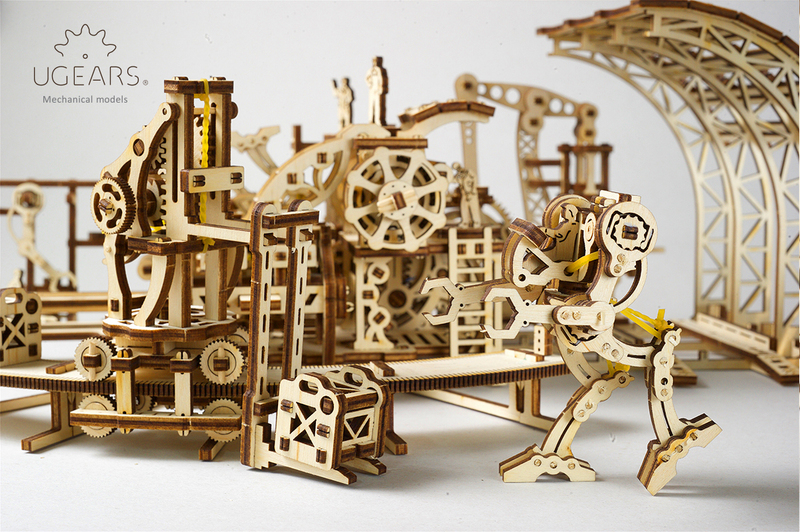 All UGEARS models are made of sustainably sourced wood and require no glue to be fully assembled into functional working models, nor do they require batteries as they are powered by rubber bands, gears, cranks, and even gravity. Our models are fun for kids and grown-ups of all ages. Each UGEARS model brings a satisfying feeling of completing a handmade project, inviting you and your loved ones into the awesome and cool world of mechanics. It's absolutely fascinating when a pure mechanical marvel comes to life in your hands and you feel like a creator.